Wine and dine with this basket Sure to Impress! Wine and dine with this basket sure to impress! 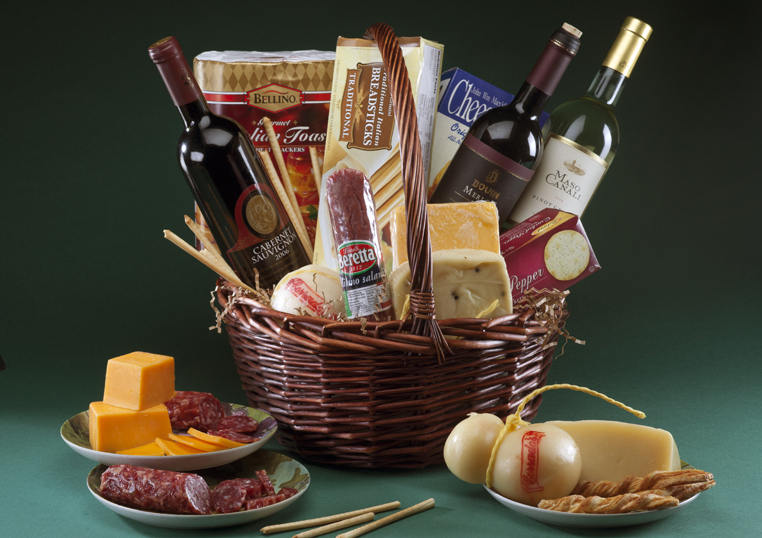 Basket includes Red and White Bottles of Wine (3), provolone cheese, cheddar cheese, pepato cheese, salami, Italian toast, cheese sticks, crackers (2) and flavored breadsticks all together in a wicker basket.